Employed directly by the asset manager Morgan Capital as the M&E design consultant and then novated as the M&E contractor, this project was a Design & Build in its truest form! 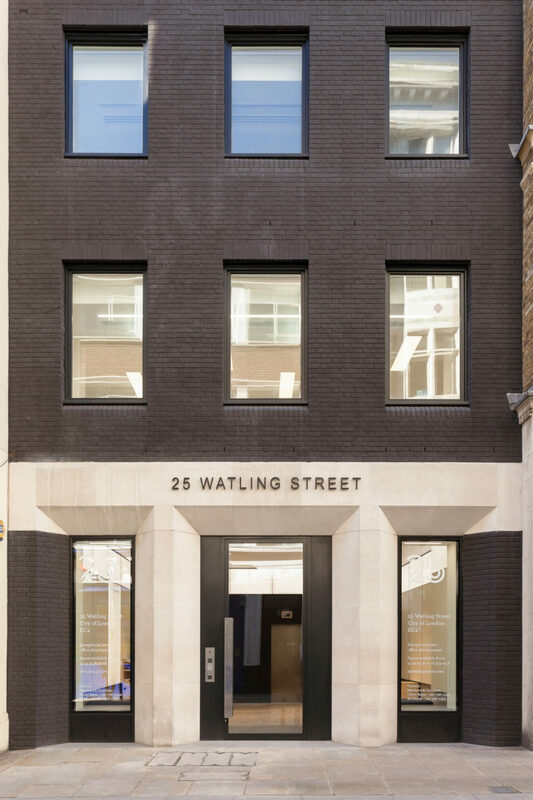 The project consisted of two buildings 25 Watling Lane and 10 Bow Lane with a combined gross internal area of approximately 30,000ft2. The buildings original existing services were stripped out in their entirety to make way for new shell and core and tenant services. Coordination from design inception was crucial for delivery and our surveys have uncovered that the two buildings were essentially an amalgamation of four buildings. As a result, our VRF design comprised of both wall mounted units and ceiling mounted units. industrial feel with neat and clean finishes. Apart from the new VRF systems our installation also included new domestic and public health services to suit the new “super-loo” arrangements, new office supply and extract ventilation systems, new BMS system. new toilet extract systems, new LV distribution; new lighting and lighting control; new fire alarm, new access control, new security systems etc.